Hotel: free parking, rooftop pool, children’s pool, loungers, BBQ area, fitness centre, convenience store, ATM, concierge, private entrance, luggage storage, cleaning services. Room: free WiFi, pets not allowed, non-smoking, balcony, Murphy bed in smaller rooms, seating area, flat-screen TVs, Apple docking station, kitchenette, microwave, dishwasher, toaster, coffee maker, blender, deep-soaking bath, hotel-branded bath amenities, daily housekeeping, rollaway beds. The Polo Towers by Diamond Resorts is 3-star resort near the Strip, surrounded by other hotel complexes like the Cosmopolitan, CityCenter and the MGM. To add to the entertainment galore which comes with that, the hotel offers its own exclusive and private amenities like a rooftop pool, rooms with kitchenettes and balconies, as well as a fitness centre and complimentary shuttle. While it’s not anywhere as flamboyant as the flagship Sin City resorts, it does fit well with travellers looking for an extended-stay accommodation and a more serene environment. Polo Towers rise 22 floors and have a total of 479 non-smoking apartment-style rooms and studios which range between 300 and 900 sq feet and accommodate up to 6 people. Note that the smaller rooms have Murphy beds from the wall, and it all cases a daily resort fee applies as well. Room amenities cover WiFi connection, a kitchenette with a mini-fridge, wet bar and microwave, as well as a coffee maker, dishwasher, toaster, blender, cooking utensils and dishes. The studios and suites also have in-suite entertainment like a flat-screen TV and Apple docking station, plus a living and dining area and a balcony or terrace. Bathrooms come with soaking tubs and the hotel-brand toiletries. As far as cleaning services go, then the hotel provides free daily housekeeping and coin-operated washers and dryers on every few floors. Additionally, and according to their policy, children stay for free, but total guests cannot exceed the maximum occupancy of any given room type. Rollaway beds, however, are based on availability and subject to an extra charge. The Polo Towers don’t offer breakfast or have nor have any restaurants or cafes on site. However, they do offer grocery delivery from the Getaway Goods and have a pantry store for additional convenience and needs. The hotel guests will also find a rooftop deck with a whirlpool, cabanas, barbecue area, children’s pool, and sweeping views of the city. Guests are also invited to use their Kathy’s hair and nail studio services, an on-site fitness centre that also provides clean towels, as well as a business centre. 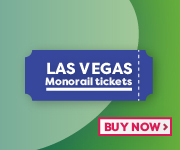 Concierge services and easy access to world-class casinos, shopping, entertainment – The MGM Grand Monorail Station is just within walking distance as well – adds to the pros as well.